What are primary, secondary and tertiary carbons? Question: What are primary, secondary and tertiary carbons? I know that sounds like a basic questions, but were just beginning to learn about alkanes and stuff and I don’t get it. Thanks. Answer: It is a great questions and we’re am happy you asked because there are a lot of students who are confused about this subject. Let’s try to clear the air. 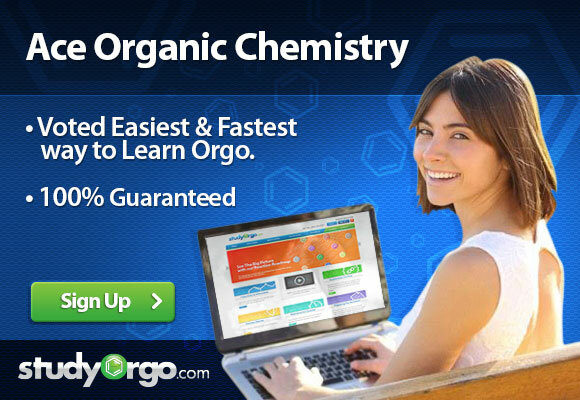 Because here at StudyOrgo.com – we love to clear the air and make things easy! We use the terms primary, secondary, and tertiary to refer to the substitution level that a given carbon has in a molecule. In other words, these terms are used to describe how many other carbons a given carbon is attached to. Step #2: Count how many carbons are directly attached to it. Other elements such as hydrogen, nitrogen, oxygen etc. don’t count. In the below example each carbon is color coded using the labels in step #3 above. OK- now bear in mind that hydrogens attached to a given carbon ALSO take on the labels as described in step #3 above. For more on mastering alkanes and reactions, use coupon code “acespring” to save 10% off the highest pass rate organic chemistry program. You may submit a question to our experts by filling out the form HERE. You’re question may be answered in an upcoming blog posting!